The application for Development Securities' two Hammersmith Grove, super-sized skyscrapers will be heard by the Planning Applications Committee (PAC) on Wednesday, 9th March. The office blocks will change the face of Hammersmith forever. Hammersmith Grove itself will be blighted with these ugly buildings overshadowing the residential area and bringing added nuisance, extra traffic and damaging property prices in this relatively quiet neighbourhood. 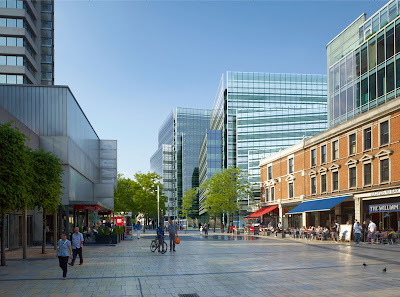 Local residents associations are calling on people to show up to the Hammersmith Town Hall meeting to let the councillors who make up the PAC know their objections. The meeting will begin at 7.00pm. Nicola Lesbirel, a resident of Hammersmith Grove, has run a determined campaign against this scheme and tells me "My neighbours and I are very surprised with how this has been handled and with the lack of response by our council to our concerns. We urge the elected representatives that are members of the planning committee to withhold their consent until the issues about the size, function and impact on our local community have been addressed." 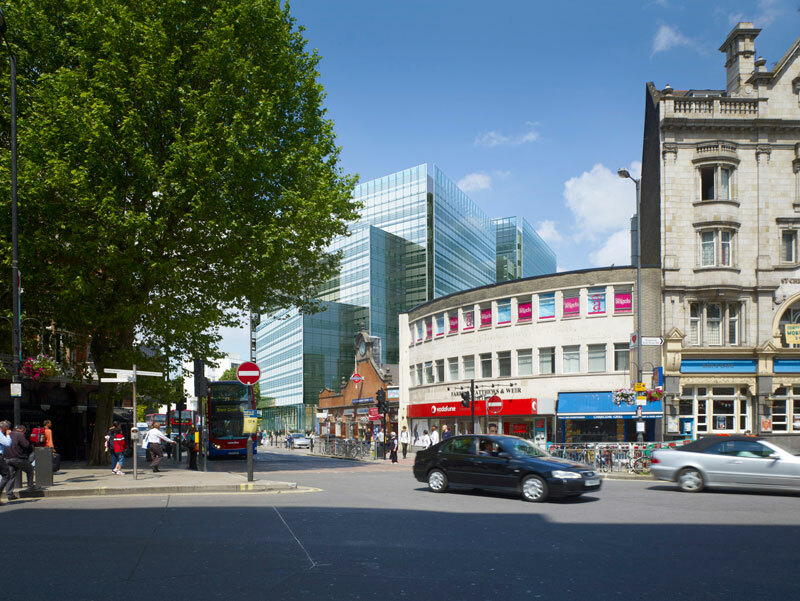 Rosemary Pettit of the Brackenbury Residents Association said "It's hard to see how these two huge glass blocks and wedges will add to the amenities of Hammersmith. We already have a mass of unlet office space. Residents are being offered no community space whasoever. The Brackenbury Residents Assoiciation has particular concerns about the development blighting the lives of the surrounding residential neighbourhood." The Hammersmith Society and other local groups have also submitted objections. 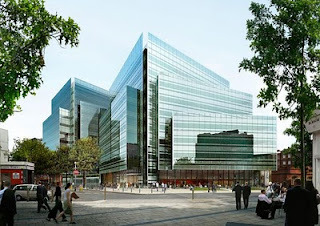 It's interesting to note that Development Securities have not included any photographic constructions of how the buildings will look from the residential aspect of Hammersmith Grove. 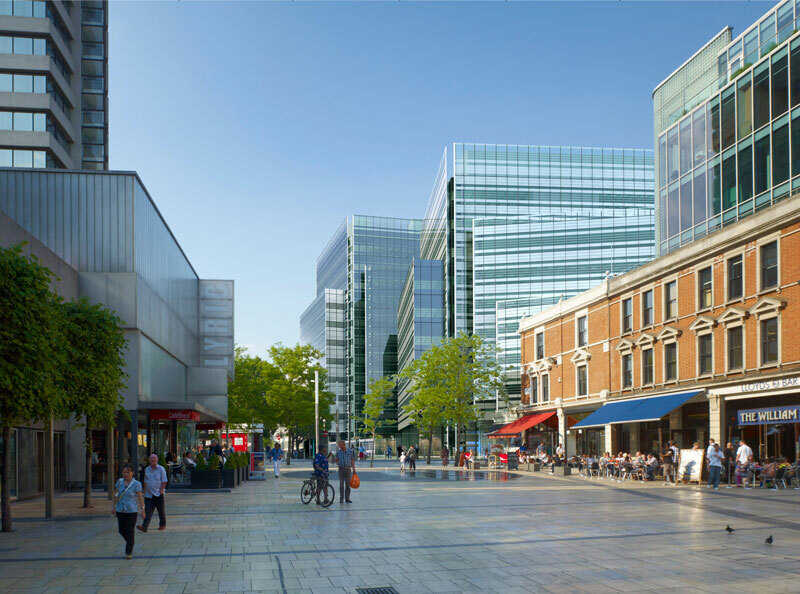 Their images only provide views from Hammersmith Town centre, in what is seen as a deliberate attempt to down play the fact that these buildings will sit in a residential street. This drawing (click to expand) gives an idea of how much bigger the proposed buildings will be compared to the surrounding homes - although that too fails to include any of them to demonstrate the difference in scale. H&F Council itself has been accused of going out of its way to help Development Securities whilst giving scant regard to the effects on local residents. Few residents are therefore surprised that the official Council report (see page 8) predictably recommends that permission is granted for the skyscrapers. The Conservative Administration has actually built a close relationship with Development Securities. This became evident in 2007 when they initially mislead the public about fourteen secret meetings they had with the property speculator prior to permission being granted for the now famous Hammersmith Grove Armadillo. Development Securities then found it impossible to raise finance and that scheme was halted. Last May Skyscraper News reported that the company had "managed to raise £94 million in new equity through an offer and has a reported £42 million worth of deals on the cards which has seen its position improve dramatically." I know of two of those deals in Hammersmith and Fulham. Not only are they expecting permission to be granted on the Hammersmith Grove site but they also expect to have their plans to demolish Shepherds Bush Market nodded through later this year. Consider the Goldhawk Industrial Estate palaver, the shenanigans residents are currently being put through with the £35million Town Hall office development, this NCP application and what's happening on Hammersmith embankment and it's understandable why many residents complain that the Conservative Administration's relationship with property speculators is far too close for comfort. That's not surprising given that in 2007 the Administration released this video which said the planning department would now seek to "remove the uncertainty around planning applications." That's one reason why property speculators are queuing up to do business with H&F Council. And that's also the reason why residents associations across Hammersmith are calling on people to attend the Planning Meeting on the 9th March.